It turns out November is Peanut Butter Lovers Month. 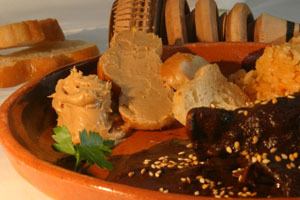 But many of us who grew up in the Latino culture weren’t hip to PB&J sandwiches – quesadillas or fideo were a more likely lunch time snack. Peanut butter is popular in the United States, Australia, United Kingdom, and Canada – but did you know it’s also popular in Papua New Guinea and New Zealand? At least for those of who spent time in Mexico in the 1970s and 1980s, peanut butter wasn’t a hot item – at least not in a sandwich. Below are some of the favorite childhood foods of some of the people in our Serie Project community…we’re sensing a theme here. It’s all about the pigs! Growing up Latino in Austin, I’ve always been surrounded by great Mexican food and more often our pan dulces. Ever since I was a little kid, my family would eat breakfast at one of the many Mexican restaurants that were and still are on South 1st and the surrounding neighborhoods. So for me one of my favorite childhood foods are the cochinitos from La Mexicana Bakery. 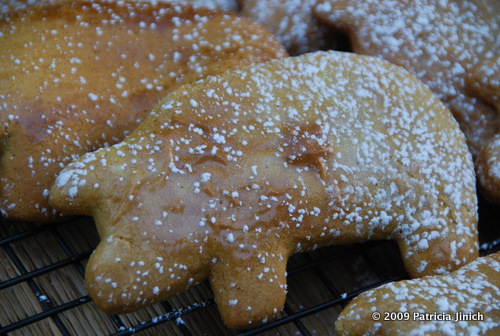 Those thick, crumbly ginger bread pigs are in my opinion one of the panaderías best treats. And that’s saying something! They are great with coffee or milk and are best served soft and warm. They are especially good when I want something that reminds me of home. One of my very favorite childhood foods was the corn bread my grandmother, Marina, made. It was full of raisins and spiced with cinnamon. The aroma from the baking corn bread filled the whole farm. 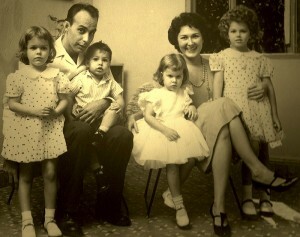 I also loved her delicious flan, which my mother, Flavia, also made. I grew up in Puerto Rico and every Christmas at my grandmother’s house it was a tradition to have the matanza, where they killed a pig that had been fattened all year with the best left overs. My mother would write a décima (1o verse poem) for the pig, my father, Carlos, would make a sketch of the dead chanchito and their six children, plus my cousin, Papú, and my aunt, Meya, would hover over the whole ceremony filled with anticipation. Nothing went to waste. 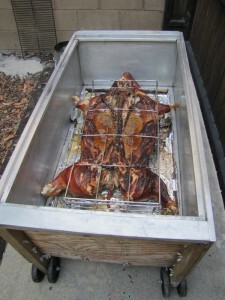 The pig was roasted on a spit and the organs were either stewed or turned into different kinds of succulent sausages. My uncle José Luis was the sausage expert. However, nothing beat having a piece of the crunchy chicharrón off the steaming pig! I learned by watching and have followed our traditions as much as I can. I make a pretty good corn bread and flan and, every once in a while, (we don’t eat much meat anymore) my husband and I will roast a whole pig in our caja china and invite all our friends to the feast. Needless to say, nothing goes to waste. It brings back memories from my childhood back in Yauco, Puerto Rico. I was an unusual child because I loved vegetables and didn’t care for meat that much. However, I loved fish, crab meat, mussels and oysters. I also loved the fruit that grew in my grandmother’s orchard: mangoes, guavas, oranges, bananas, acerolas, passion fruit, corazón, soursop, the list is long! Sometimes I would eat so much fruit that I wouldn’t have any appetite during lunch. Being a skinny child, my grandmother would get worried I wasn’t getting enough nourishment and would force me to have spoonfuls of cod fish oil. That, I hated with a passion! 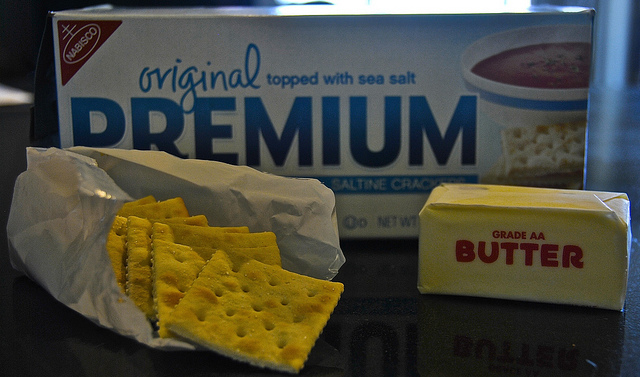 My favorite childhood food was saltines with butter. Whenever we were home sick with a cold, my mom would have us a plate of saltine crackers with butter on top of each one. This snack just reminds me of being an elementary school kid and getting away from school. I haven’t eaten this anymore since I was a kid. What’s your favorite childhood food or recipe? We’d love to know…share it on our Facebook page.